The workplace or the organization is getting adopted with the term Enterprise Mobility Management. It is touching the business organization in a healthy and productive way. As more employees are having access and got the support to use the gadgets like the smartphones, tablets and other computing devices, EMM (Enterprise Mobility Management) has become grown evidently. Yes the workplace is slowly shifting to the EMM. The primary focus of the EMM is how to determine and integrate the mobile information technology with the work processes and purposes within an organization. Though most organizations are well aware of the benefits of enterprise mobility solutions, their guidelines and processes still keep a distance to embrace the mobility across business functions. It has the power to change the face of the principal business processes and convert the customer engagement in the most effective way. As a pioneer in the information technology services in Dubai, we at vector Digital Systems is specialized in the implementation of Mobility with the existing telephone systems in your enterprise. Organizations are in the edge of understanding the huge possibility of Mobility. Nevertheless, companies face challenges in their journey to crack the opportunities offered by the telephone systems. Create new telephone system driven business processes: With the acceptance of technologies, companies are in the process of revamping their business methods to tap the potential of mobility. These are now centered with the technologies such as analytics and cloud. Define new business models for telephone implementation: The fast change of technologies with the number of new platforms and releases, mobility today extends new face to the business streams. In this changing environment, we implement mobility with ease in the organizations. How we deliver and what? We work with companies to understand their mobility potential in depth and empowers them to raise the scope of implementation. By studying the scope and potential, we offer managed services for enterprise mobility in an organization. We offer mobility solutions across all domains including the ranging from Hospitality, Real Estate to corporates. Secure, Optimized and infrastructure ready. Our enterprise mobility solutions are intended to be both accessible and reliable that meets the growing demands of today’s business solutions. We have telephone products to back all the communication methods like IP, TDM, Video, Wired or Wireless and SIP Protocol as well as integrate with your business software. Choose from a wide variety of office telephone systems that best suits your Business and budget. Our Telephone system installation service deliver maximum deployment flexibility and all business niches or personalization requirements. 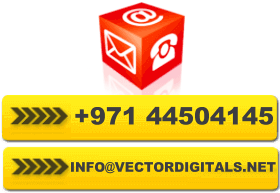 Vector Dubai offers comprehensive high-tech installation service for Advance Telephone Systems and VoIP Phones in Dubai. Contact us today for your Office Phone System Installation or buying your Telephone Products in UAE and Dubai.